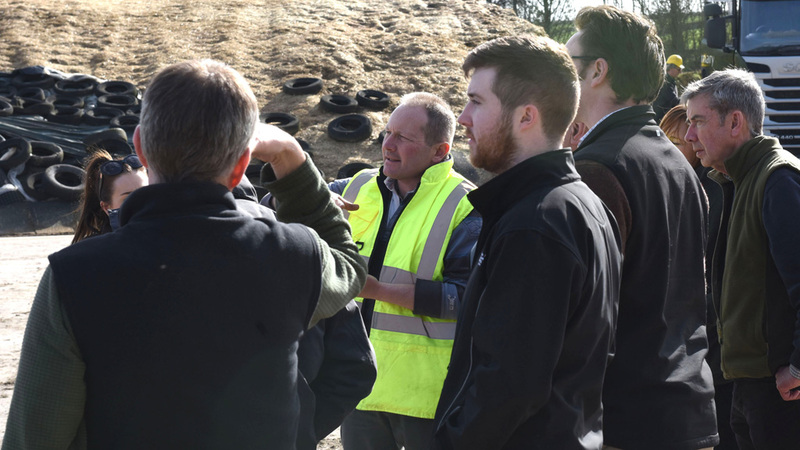 Maize growers had a peek into the world of anaerobic digestion at a Syngenta Maize Agronomy workshop, hosted at the Frogmary Green Farm conference facilities of Somerset grower, Nick Bragg, and the farm’s associated AD power plant. Nick (below, centre) reported SY Nordicstar was his best performing maize variety last year, and plans that it will make up the bulk his 300 hectares of the crop this season. 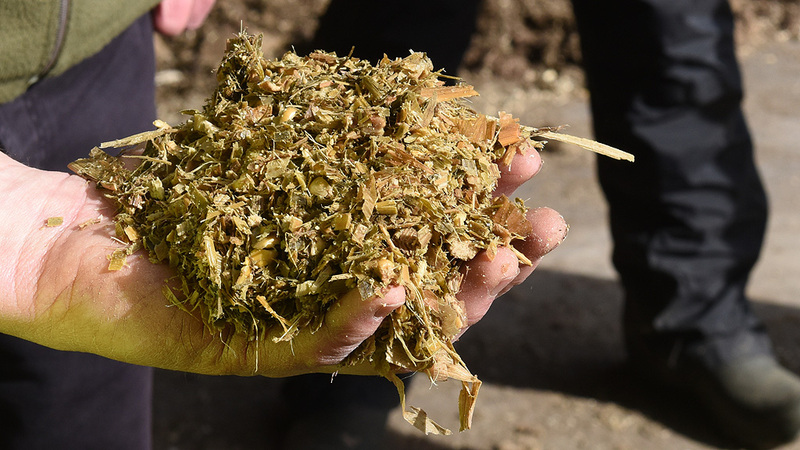 The specialist digester dietician for the South Petherton farm’s unit utilises Nick’s high quality maize silage (below) as feedstock for the 2.5 Mwh AD plant, along with a blended mix including whole-crop rye, fodder beet, whey and poultry litter from the farm and other local growers. 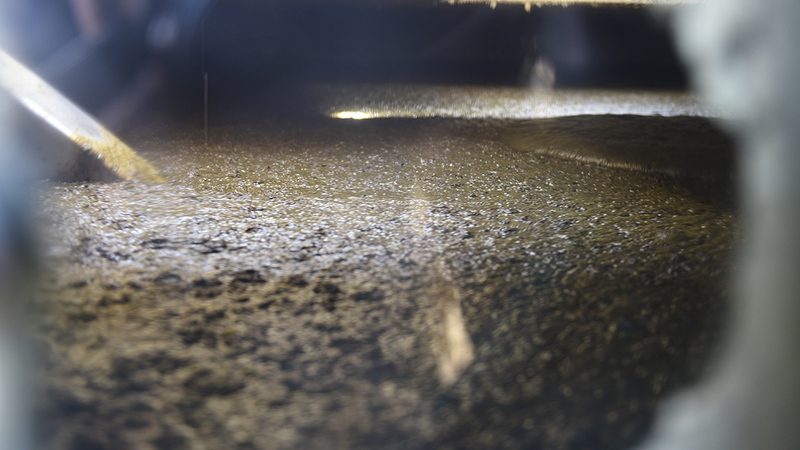 The digester is fed every hour, with the feedstock spending a minimum of 56 days circulating in the fermentation tank (below) to release methane. The combined heat and power generating plant is planned to supply all the future energy for Nick and Claire Bragg’s expanding on-farm poultry production operation. 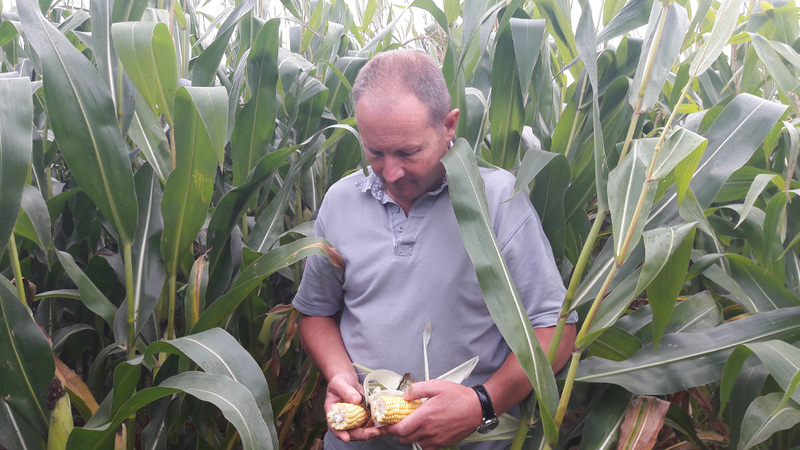 Dorset-based maize specialist, Giles Simpson, of Pearce seeds, highlighted that SY Nordicstar has the highest eyespot tolerance of listed varieties, which had proven valuable in protecting green leaf and delivering consistent yields in recent high disease pressure seasons in the region. Giles added that the typically high quality of SY Nordicstar forage (above, with Nick Bragg), combined with the reliability of its yield performance, made it an ideal variety for farms dependent on maize for a high percentage of their cattle diet, or AD plant feedstock.